ON-AN.com, Everyone knows about Toba Lake or Danau Toba, which is one of the largest lake in the world, and the largest and the most popular destination in Indonesia. The lake is like a vast ocean approximately about 100 km x 30 km. In the middle of the lake, there is a large island. That is Samosir Island, it situated at an altitude of 1000 meters above sea level. According to research from Michigan Technological University researchers, the United States, at Lake Toba, in the period of 75.500 years ago, there was a terrifying explosion which destroyed human beings, animals and plants. The eruption was spew rocks and volcanic ashes for as far as 2000 km. The eruption was make a vomit darkness up to two weeks. 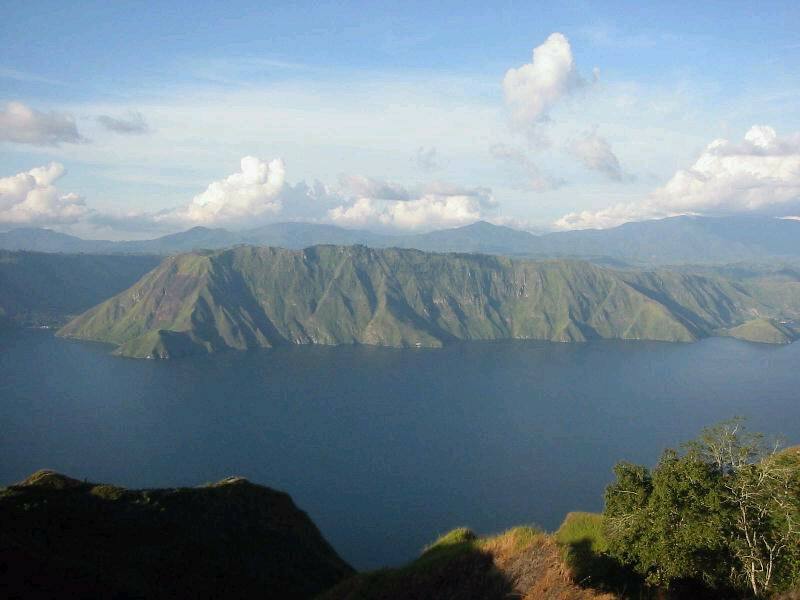 The impact of the eruption was the formation of a large volcanic crater, long after the eruption, the crater filled with water that eventually formed a large lake, that is Lake Toba. While, about the existence of Samosir Island, it was formed due to the magma pressure that not yet coming from the earth. Samosir island is officially settled in Samosir regency, where there is two lakes in it, which is Sidihoni lake and Aek Natonang lake those lakes are famous as lake above the lake. Tuk tuk is the main concentration of tourism destination in Samosir Island. To reach Tuk tuk, the visitors can reach by an hour ferry ride across the lake from Parapat city. The visitors will reach Parapat from Medan for about 4 hours ride. Following the ride across by ferry to Samosir for about an hour ride or 10 minutes ride across by speed boat. As we know, that north Sumatra is the homeland of Batak people, so is this island. Samosir island is the centre of the Batak culture and many of this people’s artifacts remain on the island. Moreover, the people believe that this island was the origin of Batak people because of there is Pusuk Buhit. 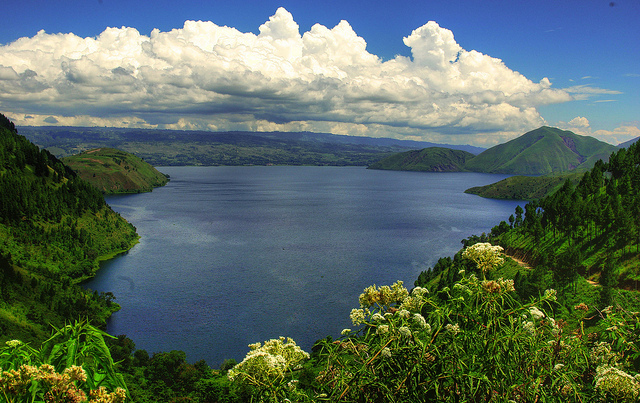 Pusuk Buhit is a hill with an altitude of more than 1800 meters above the surface of Lake Toba. This hill is believed to be the universe or “Mulajadi Nabolon” or the Almighty God who revealed himself. Moreover, in this district there is Mulamula Sianjur Village which is the first village of Batak society. In this village there is a cultural heritage in the form of a miniature house Si Raja Batak. Update artikel dari blog ini langsung di email anda.